I step into my hotel’s elevator, hit button zero for the ground floor, and rub my eyes. I’m exhausted from jetlag, culture shock, and apartment hunting. When I open my eyes, I notice that a bullfighter has joined me. She’s a slim twentysomething sporting a bedazzled jacket and multicolored tights. The doors close and I ponder how in my first week in Spain I’ve already encountered not my first torero, but torera. Telling the receptionist “hasta luego,” I head south down Villanueva del Arzobispo’s main drag and am immediately confronted by a white-and-goldenrod Moorish Revival bullring where it seems half the town is pouring into. Posters advertise a Gran Novillada—a bullfight where novices face off against young bulls. My elevator companion meets up with her family and heads beneath one of the horseshoe arches that support this modern-day Colosseum. 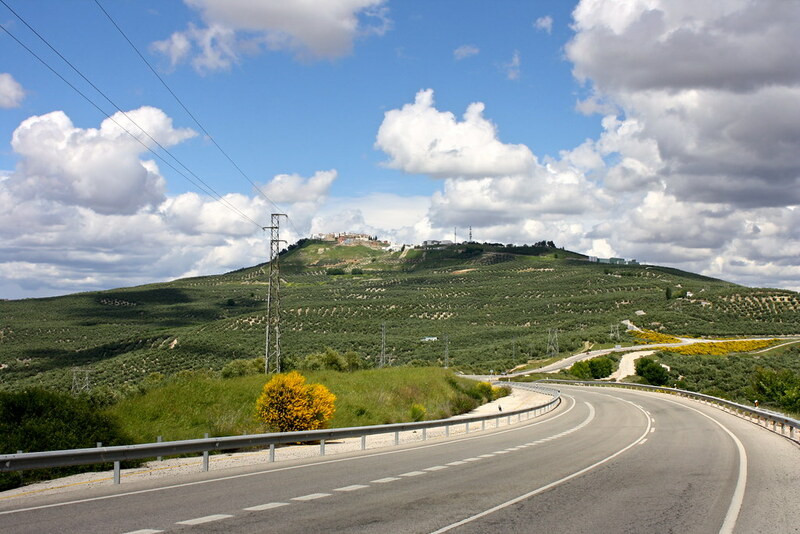 I walk against the current of bullfight attendees and soon my destination comes into view: an imposing hill outside of Villanueva, crowned by a town called Torafe. It’s my very first week in Spain. 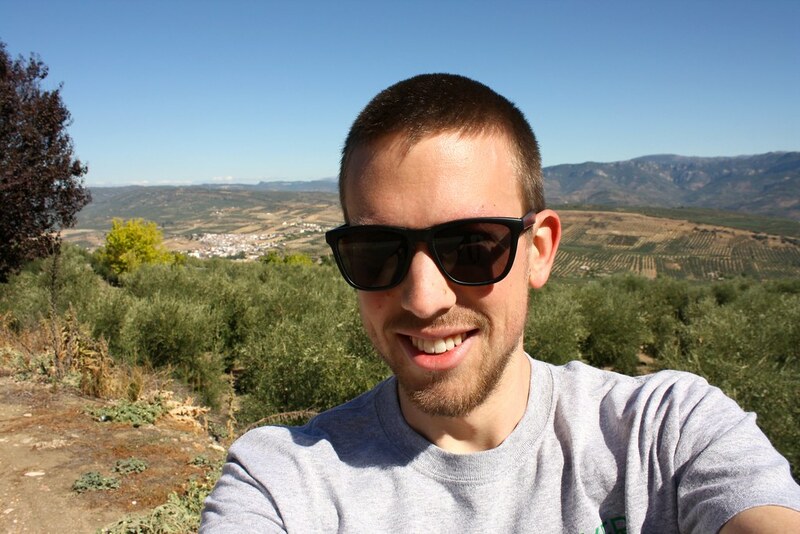 I moved to this country to teach English as a language assistant in Villanueva del Arzobispo, an island of not quite 10,000 people, adrift in southern Spain’s sea of olive orchards. 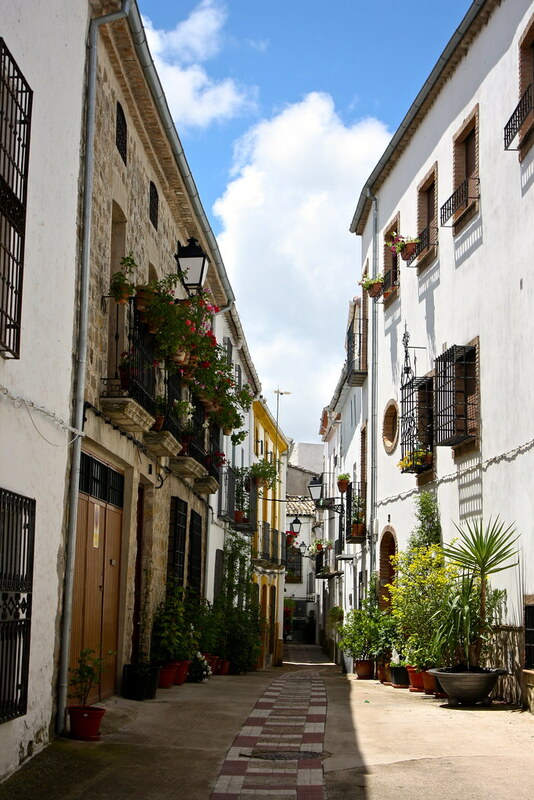 After spending this first week in the mid-sized town of Úbeda failing to find a place to live, I’ve gotten dropped off in Villanueva for the weekend by my teacher colleagues to see if I can find a room in an apartment in this town that’s a third the size of Úbeda. There’s close to zero apartment listings online, and for-rent window posters advertise the entire piso rather than a sublet room in a shared apartment—far more than I can afford on my meager language assistant stipend. Safe to say, the apartment hunt is going disastrously. I’m trying to get out of this rut by hiking to the hilltop village of Iznatoraf, a pueblo that’s been calling my name ever since I first learned I was assigned to work in the area. Perhaps a change of elevation will give me some perspective; maybe five miles on my feet will help clear my mind. I feel uncomfortable taking the direct route into town via farm roads that cut through the olive tree orchards—not sure how to handle the absurd situation of a random tourist getting accosted for trespassing on property in the middle of nowhere—so I hug the shoulder on the highway that runs from Villanueva past the base of the hill. I take the exit for Iznatoraf and begin my ascent up a series of switchbacks. A seemingly-endless stream of cars passes me going downhill, I presume, to the bullfight in Villanueva. Not a single car is headed into town, and as my thighs start to ache the closer I get to the summit, I start to grumble that no buses run between Villanueva and Torafe. Of course, right after I complain about the lack of buses in this rural, agricultural county, I come across a bus shelter, its walls bedecked with faded ads, strips of packing tape, stickers, and a graffiti tag. And then the green Transportes Públicos de Andalucía bus barrels on past me. Of course. But up ahead I can see a Bienvenidos a Iznatoraf sign and a map of this tiny burg waiting for me, right outside the old stone walls that date back to the 11th century. Countless flower planters that hang from windows and walls surround me. It’s late September, and the warm weather has nurtured the residential streets of Torafe into veritable gardens of Paradise. Pansies add shocks of color to the whitewashed walls that keep things cool in summer. Ivy creeps up stone foundations that have stood for centuries, while bougainvillea drips down nonchalantly. 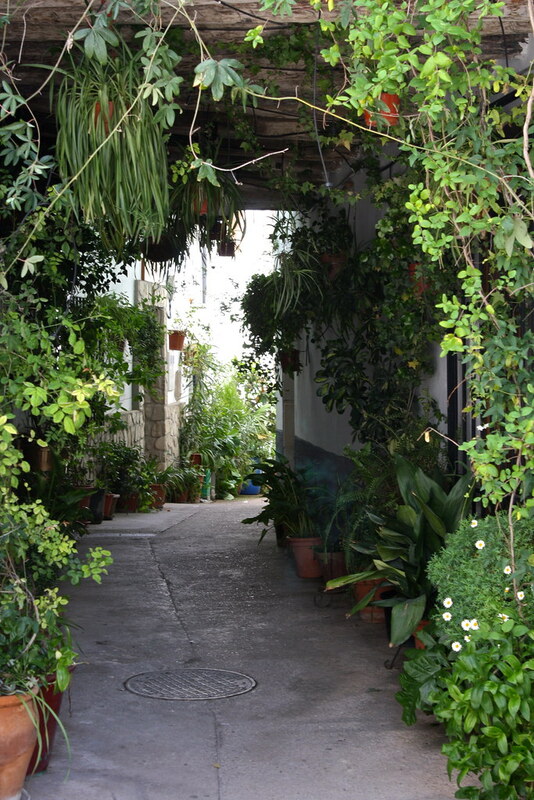 Larger pots hold ornamental trees that add shade and coziness to the village streets. I’ve willingly allowed myself to get lost in Torafe as I wander from one cobblestone lane to the nex. After all, the tiny town is accessed by just nine streets that run parallel to each other. An elderly woman shakes out a blanket from a second-story window and strikes up a conversation with a friend, who hollers at her from down below. 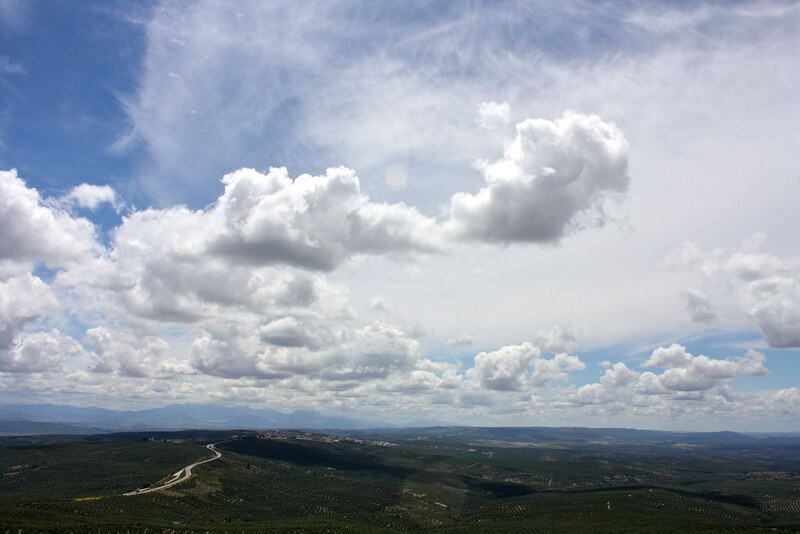 They chatter in the rapid-paced, consonant-dropping accent of Jaén, a hybrid between the relaxed dialects of south-central Spain and the utterly-inscrutable ones further to the southwest. 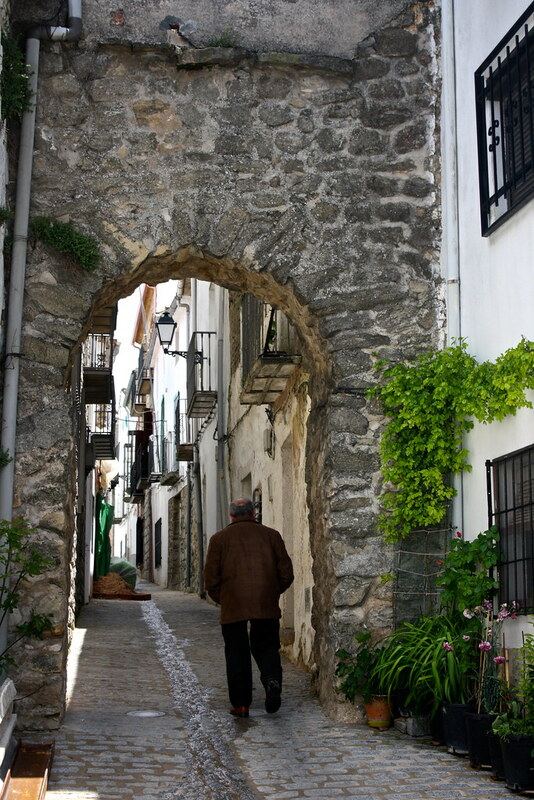 It’s hard for me to eavesdrop, so I head beneath a medieval arch and move onto the next festooned street. One of the houses on this street’s windows opens into a kitchen. Behind delicate white curtains I hear something sizzling on a skillet, and then it hits me: the unmistakable smell of onions and garlic frying in olive oil, extra virgin olive oil, olive oil produced from the very same olive trees that grow mere yards away. The fruity-yet-savory aroma of olive oil and piercing scent of fresh garlic will forever be associated with Spain in my mind. 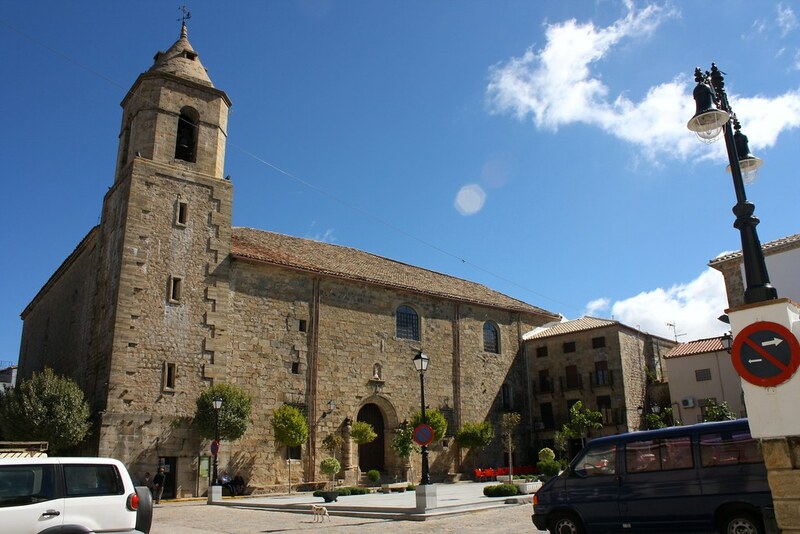 Eventually I find the main square, Plaza de San Fernando, which is named for the Saint-King Fernando III. He conquered the town in 1235 from the Moors, who voluntarily surrendered rather than subject the town to a military campaign. A statue of Fernando commands this square where you can find two of the three bars in this town of barely 1,000 residents. It’s Bar La Plaza’s patio seating where I pull up a bright-red plastic chair with the logo of the Andalusian brewery Cruzcampo. I’m ready to chill out after a long hike up, so I order a caña of Cruzcampo, about 330 mL of a golden, local Pilsner. As I sip on my short glass of beer, the server comes back with a small dish of three deep-fried fish. The tradition of bringing a free tapa with your drink—customary in bars in this part of the country—still surprises me, but before long I’ll quickly embrace this way to score free food. The sun warms me as I lean my chair against the walls of the Church of Our Lady of the Assumption, one of many fine Renaissance-era churches that make the province of Jaén unique in all of Spain. As I work on my plate of home fries, a side salad, seared pork loin, and morcilla en caldera—a local sausage pâté spiced with cinnamon and cloves and topped with pine nuts—I’m joined at the plaza by no fewer than two dozen visitors on mopeds. One after another motors into the center of Torafe, a seemingly-endless stream of Vespas in red, white, and brown that have made the reverse journey all those cars going down to the bullfight did earlier this morning. 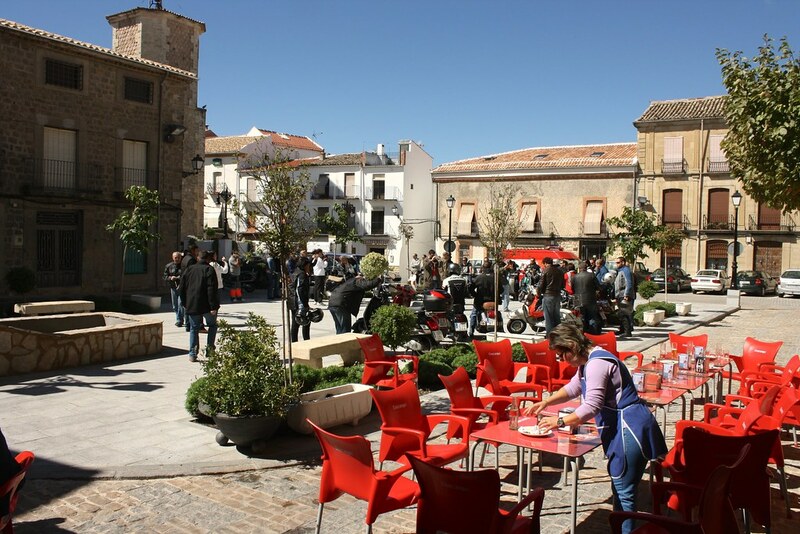 Removing their helmets, the riders quickly conquer all the remaining tables at both bars in the town square, and servers hurry to bring their drink orders out onto the patios. People back home would joke that everybody rode Vespas in Europe. Apparently so. I walk off my lunch with a (ahem) post-prandial paseo, making my way out to the edge of town where I can look back at Villanueva. The bullring dwarfs the city, and while I can’t make out of any the action, the ebb and flow of the audience cheering and yelling reaches my ears, even this far away. 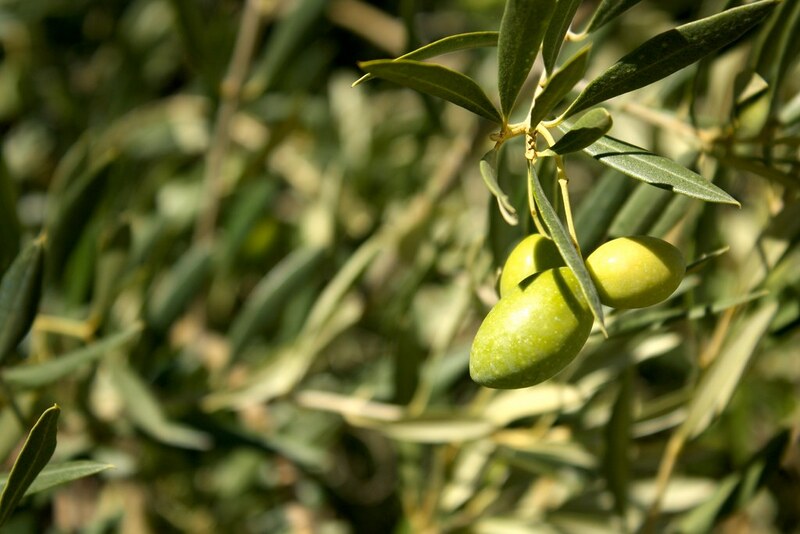 It’s truly astonishing how olive farmers have managed to turn nearly every square inch of land from city limit to city limit into olive tree orchards. 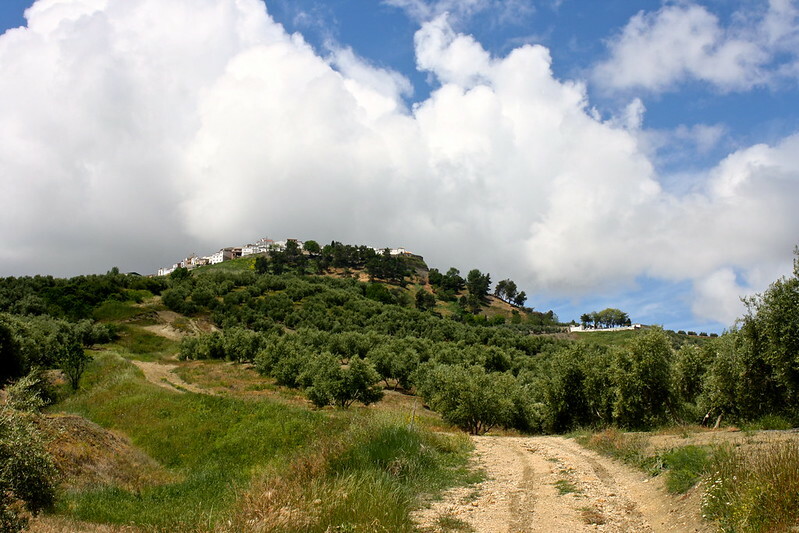 Planted in neat, orthogonal rows, these trees trickle down the rolling hills that undulate clear out to the Sierra de las Villas, a mountain range to the south. From this vantage point, as I look out onto this surrounding area, I realize how strategic Torafe must have been since time immemorial. I imagine Celtiberian tribes emerging from the nameless sierras and stumbling upon this privileged lookout where, for the first time, they could get the lay of the land. I imagine Hannibal stopping his armies here to regroup, the general resting on this same hilltop and wondering whether Carthage or Rome would ultimately lay claim to this province. 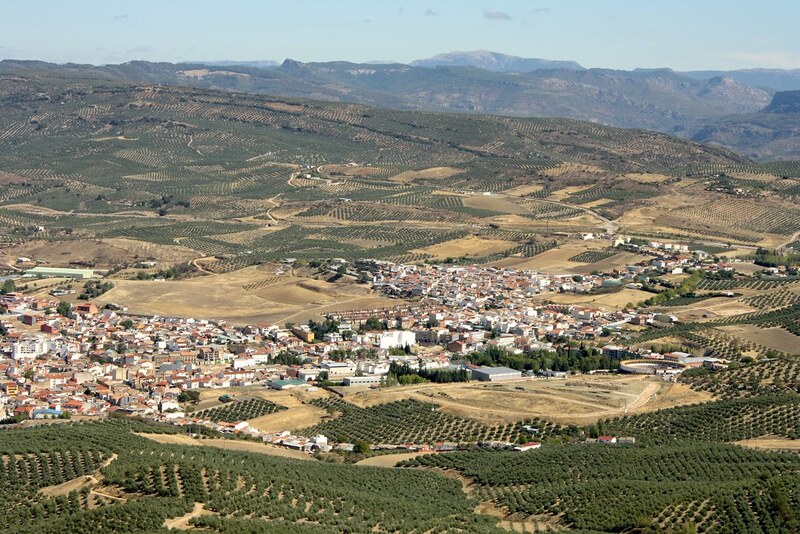 I imagine the joy the Romans, the Visigoths, the Moors must have felt as they, too, took over Baetica, over al-Andalus: joy at finding such a fertile region drained by the mighty Guadalquivir. Out on the horizon, the faint, silhouetted skyline of Úbeda stands out against the hazy sky. Here at Torafe, I find myself at a crossroads: is that charming town, a World Heritage Site for its collection of Renaissance architecture, bound to be the place I call home for the next eight months? 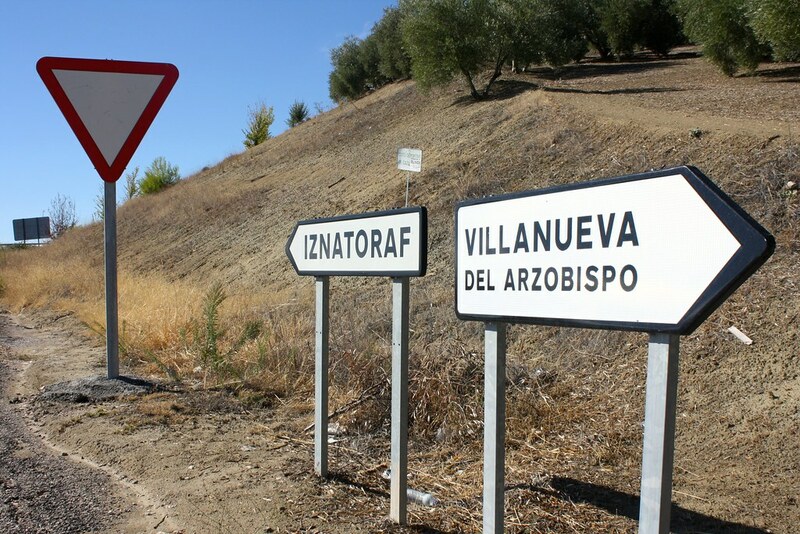 Or will I end up back in Villanueva, where rents are cheap and private English students are plentiful…but which is nevertheless a backwater farming town? The crowd in the plaza de toros 1,000 feet below me roars with glee. I remember the night before that a microvan was driving around town with a bullhorn on top advertising something in a melodramatic voice—and now I realize they were event promoters for the bullfight. One week under my belt in Andalucía, it seems as if some stereotypes about Spain are true, indeed. My face is starting to get sunburned as I walk downhill to Villanueva, and I come to the conclusion that I could never live in agricultural villages like these. They’re too far from major train and bus stations or airports, they don’t have enough (any?) expats to commiserate with, and they have hardly any museums or monuments to visit. 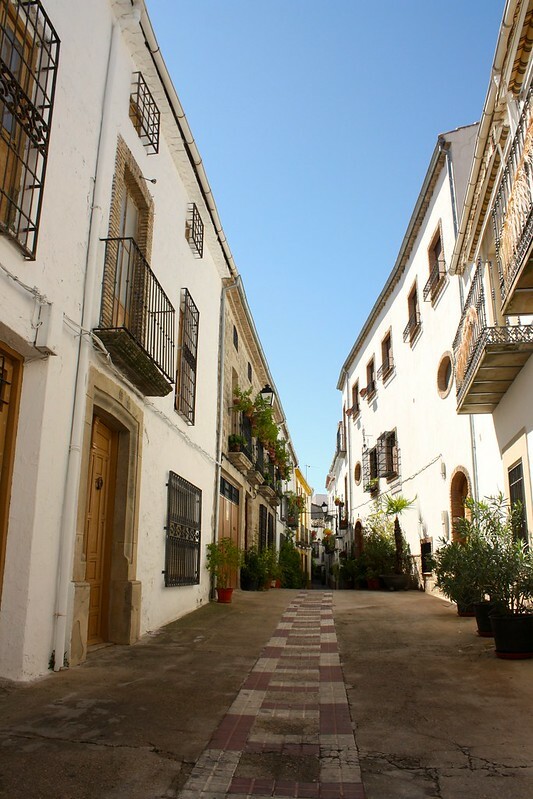 I pull up a Spanish apartment-sharing website on my phone and start working up the courage to call a potential landlord in Úbeda tomorrow morning. 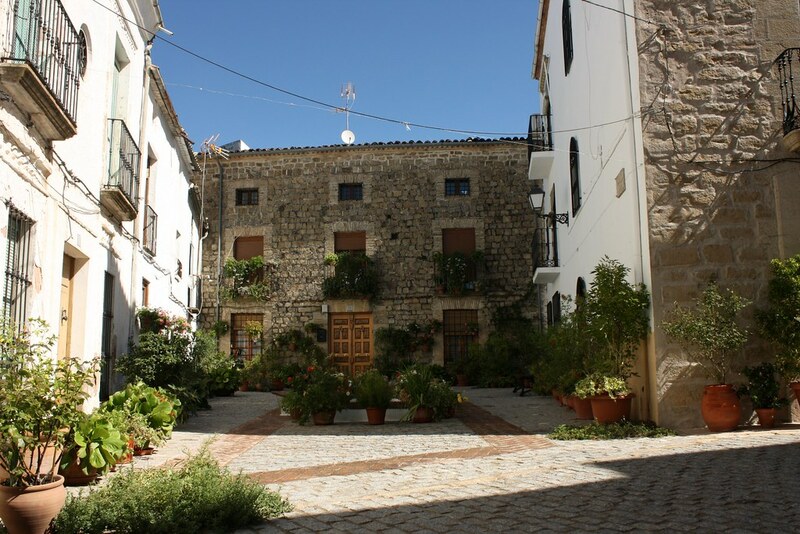 Fingers crossed, I’ll commute to work in Villanueva and settle in at my first post-college apartment in Úbeda. This fleeting crisis and existential stress will drift away, I hope, back into this sea of olive groves. The bullfight is coming to a close as I reach the entrance to my hotel. I look back over my shoulder and smile at how fortunate I am to have been able to move across the ocean and live in a part of the world where hilltop villages—former fortresses, even—are an everyday find. What has your experience been with hilltop villages—or do you prefer towns nestled amongst valleys? Tell me down below in the comments thread!